My lovely wife and I play this fantastic game where she will pour some scotch in a glass and I will drink it. The game is actually that I try to guess what she poured. 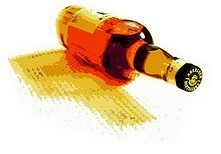 At any given time, I’ll have about a dozen bottles open and sometimes I remember what I have open, sometimes I don’t. Tonight, she stumped me when she poured me some Balvenie Caribbean Cask, a bottle I forgot I opened. What really threw me off was the color, it’s a lot lighter than I expected. Not yellow, like a lot of Irish whiskies, but it wasn’t a dark amber – so I started thinking it was going to be Laphroaig (based on color and what I thought I had open). That’s what caught me off guard because it had no smoke and was nowhere near Islay (or Skye/Talisker). It was too dark and the nose of vanilla and fruit, a marked absence of any floral note, meant it wasn’t an Irish whiskey. Once I ruled it out I went to Speyside. At this point, I forgot what I had opened and so I had no idea and had to surrender. Balvenie Caribbean Cask. HA – she got me. I took another sip… could I tell? It was just so complex and had a bunch of different flavors I didn’t recognize together. The 12yo DoubleWood doesn’t have this much flavor, my memory of it (it’s been a bit since I tried it) was that you had vanilla and brown sugar. There was also fruit to it, but it was all much lighter and easy. And it makes sense, because Caribbean Cask is only finished in Rum casks. Finish: Decently long finish, rich, raisins, with some spiciness and dries out nicely. I think the rum amplifies the vanilla and brown sugar notes, that’s the big difference between this and, say, the DoubleWood. Also, for those who are into awards, this one has picked up a slew of awards. It won the Gold at the 2014 International Spirits Challenge and Silver Outstanding at the 2014 International Wine & Spirit Competition. In terms of flavor, the GoldenCask had more citrus and fruity notes, more spice and chewiness – the Caribbean Cask seems to be more delicate despite being darker. I play that same game with my wife!!! 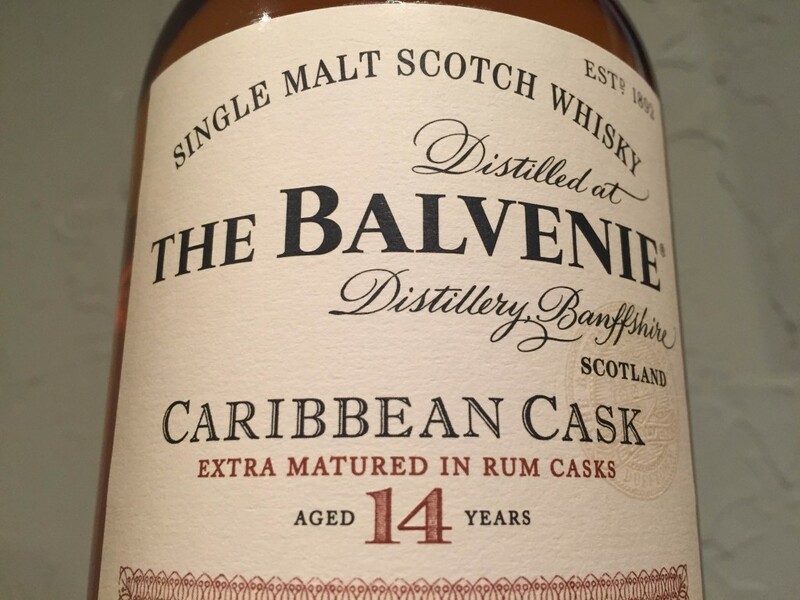 I love the Caribbean Cask, … the influence of the rum cask finish, while noticeable, doesn’t overpower the great foundation of the Balvenie’s flavor. Several years ago, Balvenie released a 17 yr. Rum Cask, which had MUCH more dominant flavors of the rum. 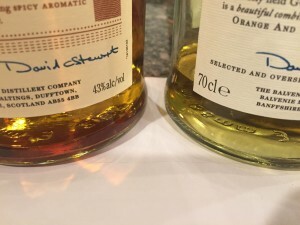 I REALLY enjoyed that (I have just a little left) and it’s an interesting comparison – one with light rum overtones and one with “out-front” rum influence. Different from each other, but both very enjoyable in their own right. Aargh. You are going to bankrupt me. I have been eyeing this one for a while but haven’t pulled the trigger because A: I still have an open Doublewood, and B: I was going to try that Nectar d’Or first. I can absolutely predict what will happen next time I’m at the store: I will somehow justify getting both on the grounds that I would eventually buy them anyway.